Kosinj Bridge is one of few unusual bridges with holes in the Spandrel which not only reduces the weight on the spandrel but also allows for increased flow during floods, thus reducing pressure at high water levels. 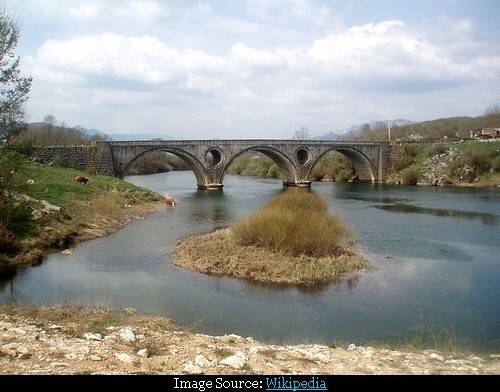 The 70 feet stone bridge spans river Lika and connects the Upper and Lower Kosinj. Though it was designed in the 19th century by designer Milivoj Frković, its construction began in 1929 and completed in 1936. Image from Wikipedia is by Zeljko and is used here under Creative License.